Cast: Ito Hideaki, Kato Ai, Kaito Ken, Karina, Ito Atsushi and Murata Mitsu. 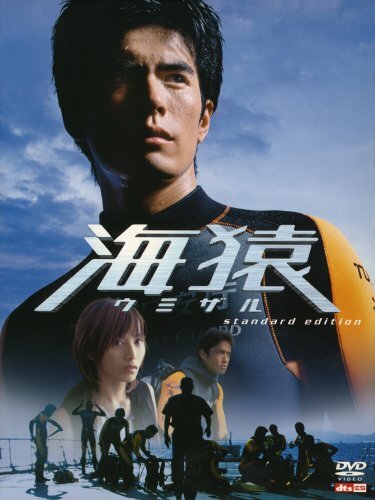 Senzaki Daisuke (Ito Hideaki) is a new coast guard recruit, with a master diving license. He joined the coast guard due to boredom at being a salary man. Being cocky and sort of undisciplined, he isn’t really interested in being a diver, but when Mishima Yuji (Kaito Ken) pokes at his pride, he decides to fight back. On a day out Daisuke meets Izawa Kanna (Kato Ai), a fashion journalist, who he almost has a one night stand with. Even though they decided to part, they keep meeting again. When the trainees are introduced to the ‘buddy’ system, Daisuke is teamed up with Kudo Hajime (Ito Atsushi), the lowest trainee, and the most likely to be released from duty. At first Daisuke finds him annoying and thinks of him as being in the way, but as time passes they become close. All in all, a great Japanese movie.